Manufacturer & Supplier of Roof Air Ventilator. Our product range also comprises of Buildex Self Drilling Screws, Roofing Sheets and Decking Sheets. The vast range of Roof Air Ventilator and pre-engineered building systems that we fabricate offers ideal solutions to protect diverse machines by doing away with the vapor and trapped warm air. Moreover, the products are correct for air supply through the roof or extraction. Our range is manufactured in accordance with latest regulations and industry requirements. 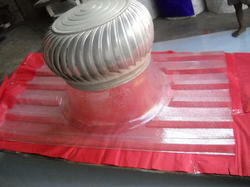 Skytuf Polycarbonate base plates are used to fix Turbo Ventilators on roofs. We can manufacture these base plates in matching to all roofing profiles. We are the manufacturers who can make these base plates in customized profile for our clients. We have in-house Mould design and mold making facility. So we have served faster in the case of customized requirement. Polycarbonate is an excellent replacement for FRP. It gives more the life than FRP base Plates. We provide 10 years limited warranty. 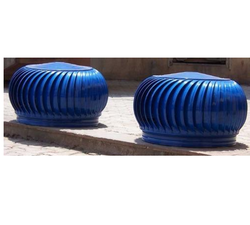 Available in 21”, and 24” Diameter, Also customized as per Requirement.  Our expertise in roofing products enables us to design base plates matching with Metal sheet precision, thus eliminating the possibility of leakage.  Polycarbonate ventilator base plate help in cutting down electricity charges. in today’s context, it is a great saving and also contributing towards saving the environment. Our products can be used for factories, warehouses, workshops, Industrial sheds and domestic application. Comparison Table of Polycarbonate V/s. FRP Polycarbonate sheets are comparatively superior to the entire conventional skylight materials like FRP.